In the previous weeks we’ve come into the month Elul were Yahweh literally draws near to hear our hearts then these weeks build up to Yom Teruah the Day of LoudNoise where we become completely awakened and roused to realign and renew our faith. Yahweh fashioned an instrument that when sounded allows the soul to resonate and make each one of us who knows the sound become elevated on an equal footing. Now, we enter into a final stretch toward Yom Kippur, the Day of Atonement, where our whole being becomes completely subdued and resubmerged into Yahweh’s will. 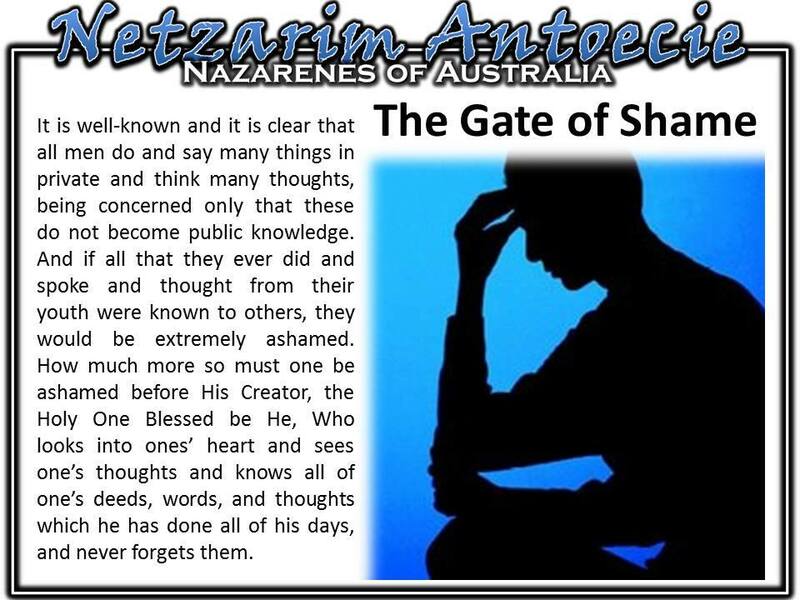 A highly concentrated form of t’shuvah began to take form thirty days out from Yom Teruah and now we build on this even further till we reach a forty day period to a great crescendo of outpouring culminating on Yom Kippur. But what is all this really about? As beings bound within a sphere of linier time, Yahweh knew in His infinite wisdom that man requires many constant refuges set in time to meet the demands of transcending the confines of a fallen world. From appointed times set within days, weeks, months and years, Yahweh has given us a ladder with a multitude of rungs set so near to one another that they disallow the enemy to gain any lasting footholds against us. As a new believer begins to take on more of the Covenant and starts to observe the weekly Sabbath, the most obvious and evenly spaced rung on this ladder, he begins his journey in transcending the trappings of the world. All the dismay at the myriad of strife that can come against a man melts into one very simple exercise, which is to fear Elohim and serve Him with joy. This mixture of awe and joy is key. The winds of the world that once buffeted him dissolve and a joy indifferent to his lot takes hold. No matter what the weather, in season or out of season, the believer should strive to receive his sole source of true joy from Yahweh, so that great earthly gains or losses will never spoil him. Yahweh has ten sefirot, ten spheres or channels of Divine energy with which He created the world and which flow through every aspect of reality including our own souls. These ten sefirot are mentioned in Scripture. The first three in Exodus 31:3 (Wisdom, Understanding and Knowledge) and the other seven are mentioned and alluded to 1 Chronicles 29:11 (Greatness, Power, Glory, Splendour, Foundation, Mercy and Kingdom). At the core of this arrangement of spheres is the tenth sefirot - malkut (Kingdom or kingship). Each one of us knows that our own kingdom is in need of restoration. Over the years our dignity, majesty and security have been eroded, so we need to access the place that was never wounded – the place of the Divine soul. 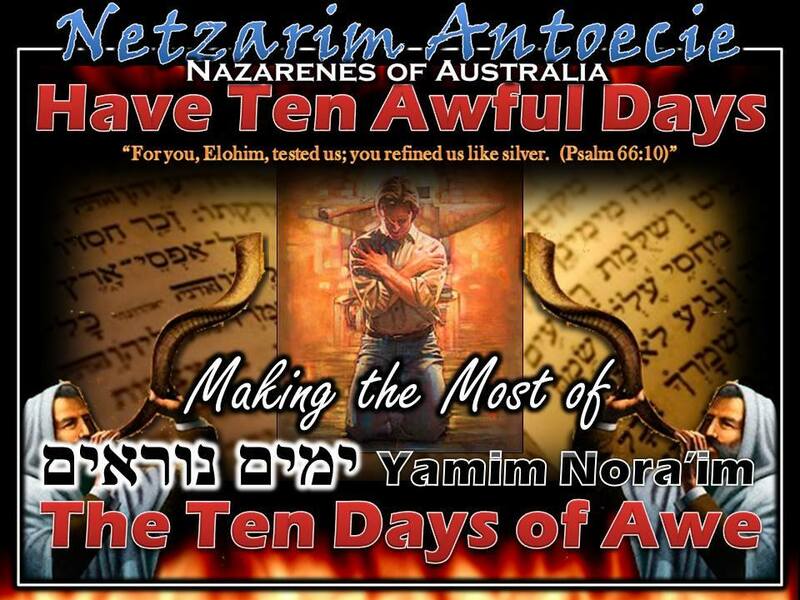 It’s no coincidence that the Ten Days of Awe correspond to the Ten Sefirot. But let’s have a closer look and see what goes on behind the scenes as we beseech Yahweh for His mercy as we cry out to him. According to the Zohar, the human body is a mirror of the Ten Sefirot, which are the ten dimensions that comprise all reality. Our physical world represents just 1% of true reality, a world of chaos, in case you hadn’t noticed. The remaining 99% of reality is the unseen source of all happiness, goodness, wisdom, healing and prosperity. All goodness flows from this hidden realm. Any chaos in our life is because we have disconnected from the source.